Classical Music Is Supreme At The Nation's Highest Court : Deceptive Cadence Piano legend Leon Fleisher plays for the Supreme Court today, while Justice Ruth Bader Ginsburg reveals her list of favorite recordings. 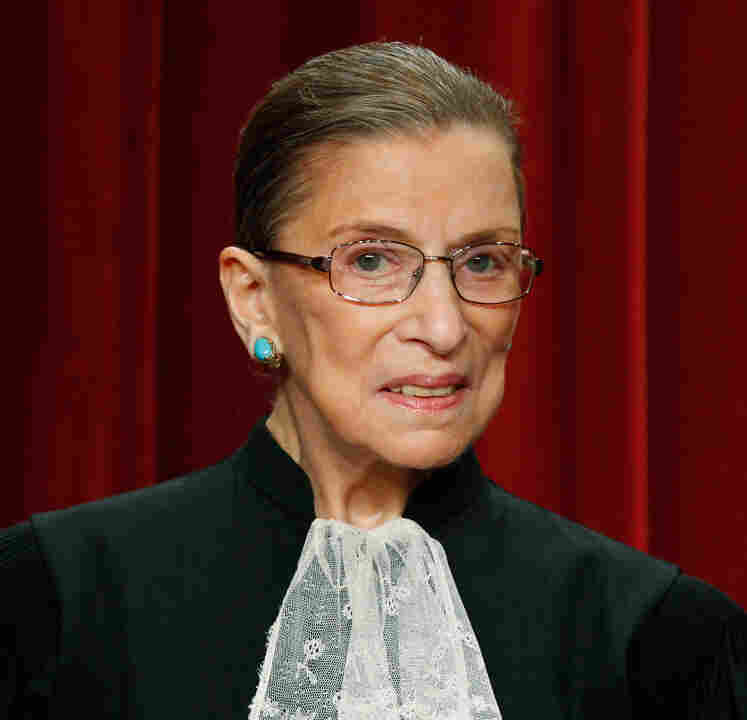 Supreme Court Associate Justice Ruth Bader Ginsburg, a dedicated advocate of classical music. This is a big week for classical music at the Supreme Court. Justice Ruth Bader Ginsburg provided Alex Ross at The New Yorker with a list of her favorite records. Not only does Justice Ginsburg have impeccable taste in opera — from Placido Domingo's classic Otello to the Nathan Gunn/Ian Bostridge Billy Budd — but her son, James Ginsburg, has become an important force in promoting Chicago-area musicians via his record label, Cedille. Meanwhile, Justice Ginsburg has also invited one of the true giants among pianists, Leon Fleisher, to play for the Court today. In previous years, she has invited such current opera favorites as Stephanie Blythe and Anthony Dean Griffey, extending a musical tradition at the Court formerly fostered by Justice Harry A. Blackmun. To top it off, Justice Ginsburg — who has made cameo appearances in Ariadne auf Naxos and Die Fledermaus at the Washington National Opera — hosted last year's NEA Opera Awards. In her remarks, she observed that Wagner's Ring cycle "centers on a breach of contract — Wotan's repudiation of the agreement he made to compensate the giants for building Valhalla. What better illustration of the well-known legal maxim pacta sunt servanda; in plain English, agreements must be kept."